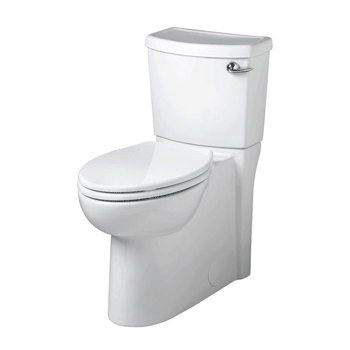 When you’re looking for a simple, effective option, the ProFlo Toilet is a fantastic choice. It offers the elongated design that many prefer in modern times, thanks to the higher level of comfort it provides. If you’re looking for something that can help to conserve water, then make sure to check out this model. Overall, it’s a great choice for those who want something simple, affordable and effective. While it’s not one of the fanciest options out there, it’s perfectly suitable for those who just want something reliable. Check The Latest Price for the Tank on Amazon! Check The Latest Price for the Bowl on Amazon! Continue on to learn about the specifics that are offered on this toilet. 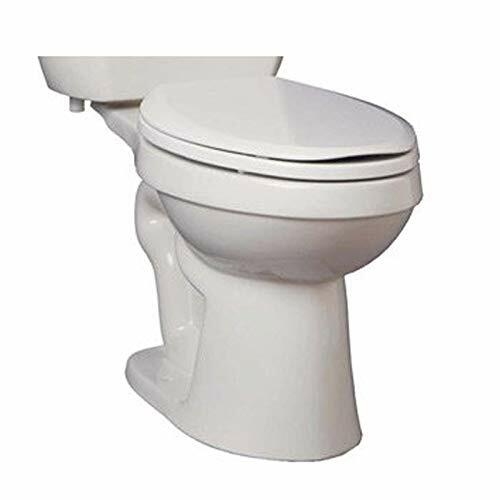 For the most part, this toilet offers a similar design to others on the market today. It’s made from porcelain with a complete glaze made to help it be easier to clean and more durable overall. Thanks to the elongated design, users also get more space and comfort while using it. As part of the simple design, it’s also made to save water, provide a decent flush and easy installation thanks to two pieces. It’s an ideal choice for those who prefer to install appliances like this themselves. Furthermore, it’s a choice that is fully ADA approved, so you’ll be able to rely on it. 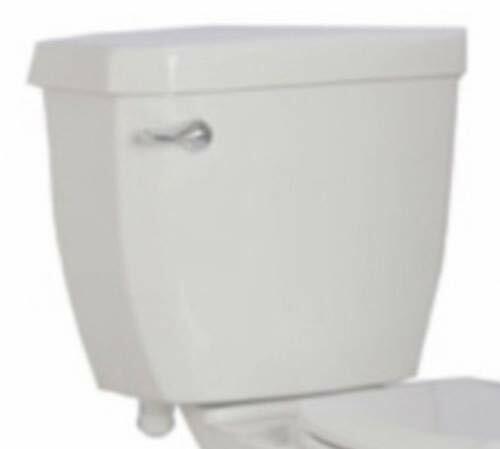 Like many other options out there, the flushing system on this toilet is relatively simple. It uses a siphon system made to create enough force to get debris where it needs to go. Consequently, this is a choice that is highly reliable, though it doesn’t have many frills. When you’re cleaning just about any toilet, it’s wise to be careful about the cleaners you use. Some can be too rough, resulting in scratching and damage to the surface, which can make cleaning harder in the future. Consequently, it’s a good idea to make sure you test out any cleaners you use. If you’re unsure, you can always check with the manufacturer or even other customers to find out what cleaners are most efficient while remaining gentle on the surface. With regular cleaning, keeping this toilet in good shape shouldn’t be too much trouble at all. The ProFlo is a fantastic choice for those searching for a toilet that is decent for conservation. At only 1.28 gallons for every flush, this one uses about 20% less than many of the more standard toilet options out there. 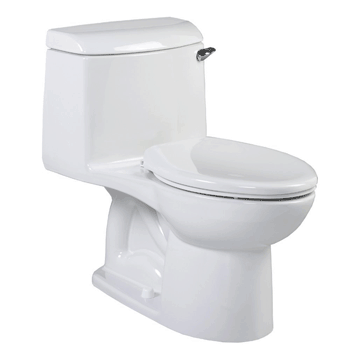 At the same time, it offers a flush that is powerful enough to get the job done every time. 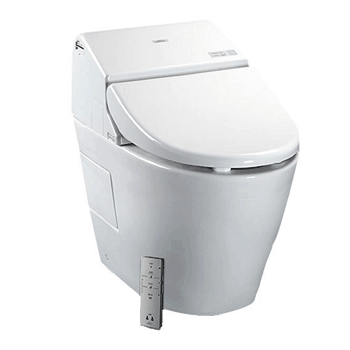 If you’re looking for a toilet that is relatively easy to get installed in your home, this is a suitable choice. It comes in just two pieces, so it isn’t something that’s going to be extremely complicated. That said, you may want a helper just to assist with lifting or moving the pieces. In addition, you can read the instructions or likely find resources online that can help you with getting it installed efficiently. Before you get started, just make sure that you have everything you need so you won’t have to pause during the process. This is a simple choice, which makes it one that is going to fit into most bathrooms, regardless of the décor. Customers also find that it’s one that can run rather quietly, so you won’t need to worry too much about disturbing other people in your home if you need to run to the bathroom at night. Keep in mind that customers can find that this may be one of the options that is more cheaply made. If you just want an inexpensive solution, then it works fine, but don’t expect a lot of bells and whistles. In other cases, there can be issues during the shipping process that can result in a damaged toilet. While you’re shopping, just make sure that you compare this option very closely with others. After all, you want to invest in a toilet that will look great and be long-lasting. No one wants to have to replace their toilet too often.